I have one of those coarse, thick beards. The kind that you may describe (as I have) as a pubic hair beard. Not the most flattering of descriptions, but we’re amongst friends. Because of the coarse nature of my beard, many beard products have fallen short in the impossible task of taming the “pubic” beast that is my beard. So, when I first received my Mad Viking Beard Co. products with the word “Mjolnir” boldly flying across the label, I was less than hopeful. Yet, after a few weeks of use, my hopelessness has ceased. I’ve traded my mourning for joy. The beard savior. The Mad Viking. What is mjolnir [pronounced muel-neer]? Mjolnir, as many of you may know, is the mystical hammer of the Norse God Thor. It’s quite intimidating. I mean, am I worthy enough to dawn such an awe inspiring product? Is my beard long enough? Am I cool enough? Who am I kidding, of course I’m cool enough! Thor would never doubt himself, with the cold steel (or whatever mystical metals) of Mjolnir firmly gripped in his calloused fingers and muscular hand. Why should I? 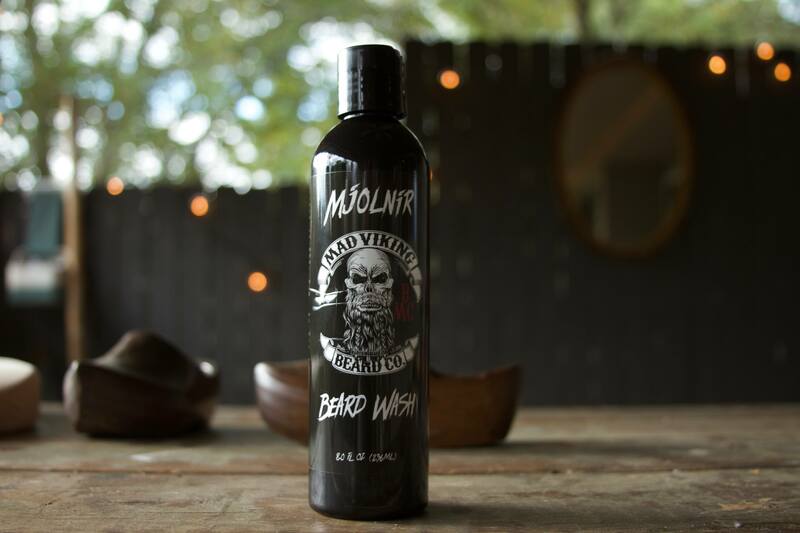 To the Mad Viking Beard Co. brand, the designation of Mjolnir simply refers to the scent of each product. 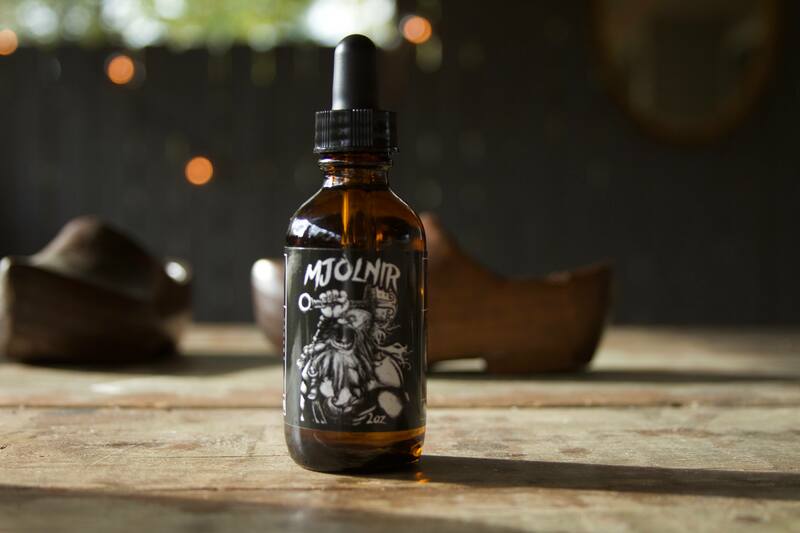 In the case of Mjolnir, the scent is peppermint, sandalwood, and cedar wood. I’ll make only 3 brief statements concerning the scent. It’s manly. It’s pleasing. I like it. The products I received were the Beard Wash, the Beard Balm, Beard Oil, and a metal beard comb worthy of Thor himself. Can I Not Just Use Shampoo? Beard wash has always been one of those products I’ve been skeptical of. Is it necessary? Can I not just use regular shampoo and conditioner? I’m bald so I don’t really use shampoo and conditioner, but my wife usually has some Pantene or flowery smelling stuff on the shower shelf. I’ve used one other beard wash prior to the Mad Viking Beard Wash and was less than impressed. 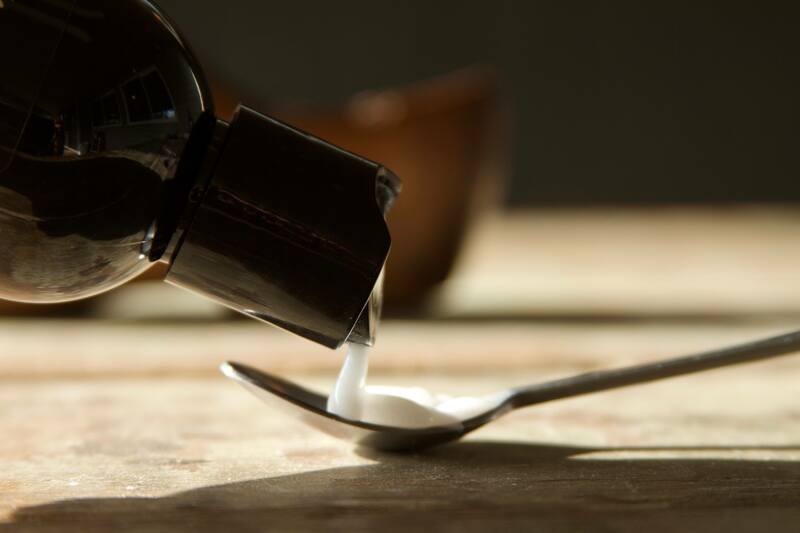 It made my beard feel incredibly dry, and believe it or not, even more coarse than it had previously. I wash my beard probably 1 out of every 7 times I take a shower. Naturally, this depends on the types of things i’ve been doing. For instance, if I’ve been pillaging and sacking villages, i’d probably step that up to a ratio of 1 out of every 3. My first impression as I started working the beard wash into my beard was, “ok, feels like the last beard wash I used”. I wasn’t blown away immediately. After about 5 seconds, things changed. The lather was very thick and all consuming. It wasn’t like a typical shampoo with big and feathery suds. The Mjolnir Beard Wash was dense and the suds tight. The blood of the villagers and celebratory mead would stand no chance to the dense beard wash of Mjolnir! Seriously, the Mjolnir Beard Wash felt so different than any other experience, I couldn’t wait to see how it felt when I was finished. I wasn’t disappointed. My beard felt clean, conditioned, softer than when I started, and manageable. Truly, this was another level of beard wash. Now, I couldn’t wait to use the Mjolnir Beard Balm. What is balm? Is it wax? Is it like beard butter? Beard cream? You know, i’m sure there is a text book answer, but i’ll just describe it how I see it. 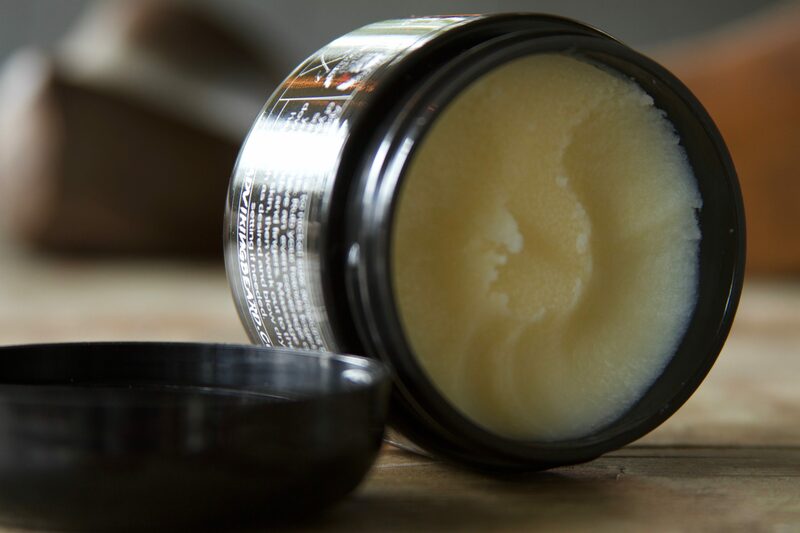 Beard balm is like a combination of wax, cream, and or paste. It’s thick, and at first, it doesn’t look or feel like something you’d put in your precious beard locks. Yet, you do, and it’s glorious. I’ve used waxes, creams, pastes and all sorts of products in my beard. 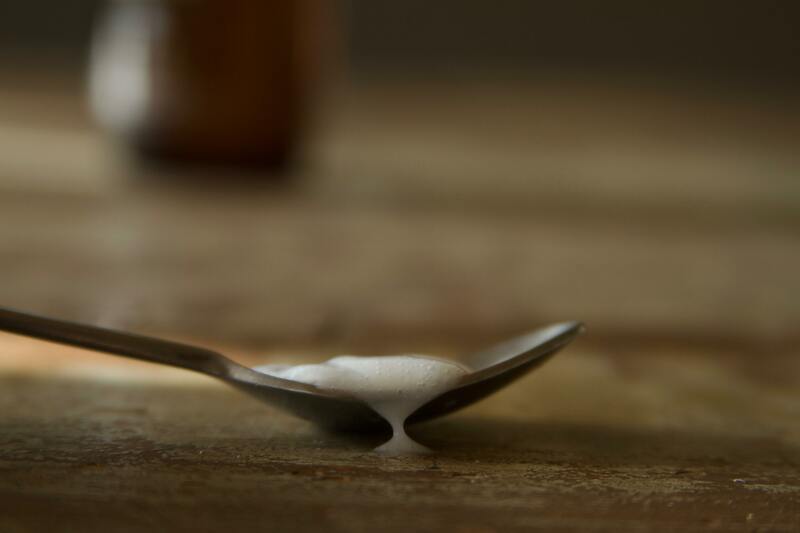 Wax is always too…waxy. Like you don’t want to touch anything after using it. So, normally, I gravitate towards creams or butters. It’s like putting lotion in your beard and it works for me. However, one advantage a wax has over a butter or cream, is longevity. A wax can easily last all day, but a cream or butter seems to dissipate after a few hours. 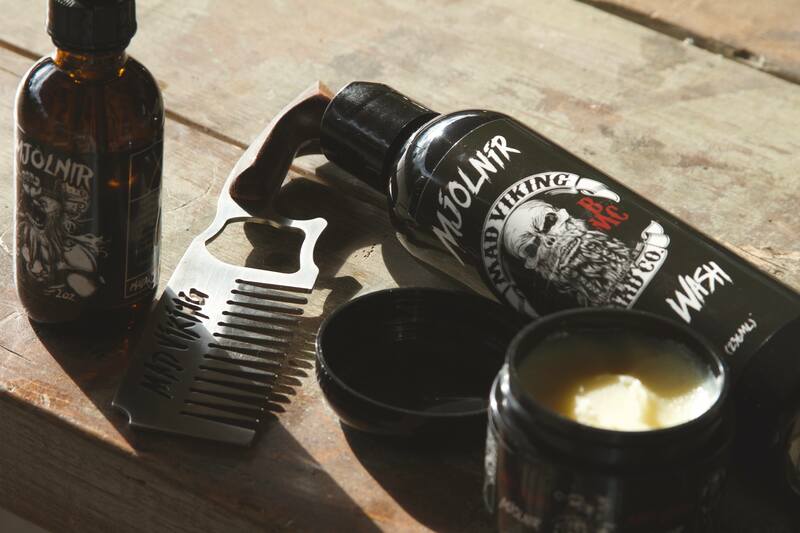 But, a balm.. Is the Mad Viking Beard Balm the best of both worlds? This was my first time using something described as “balm”. My first impression when opening the container was, “this isn’t going to go well”. It looked and felt like a dry and thick wax. Like a wax that had been long exposed to the air. But whatever, I plunged my finger in and extracted the standard “nickel-sized” proportion and placed the clump of “balm” into my palm. I wasn’t sure what to do next, so I just started rubbing my hands together, thinking i’d just smooth the clump out so it can be applied to my beard. This is where it got interesting. As soon as I started rubbing my hands, it’s like the clump just melted and evenly spread itself onto the surface of my hands and fingers. So cool. Now that the balm was perfectly dispersed on my hands, I began the gentle massage into my unruly beard. Man did this stuff make a difference. My beard was shiny. It was soft. It was glorious. It was cool. Not like “Thor" cool, but still cool. I’ve decided I am no longer a butter and cream guy. I’ve graduated to “balm guy”. 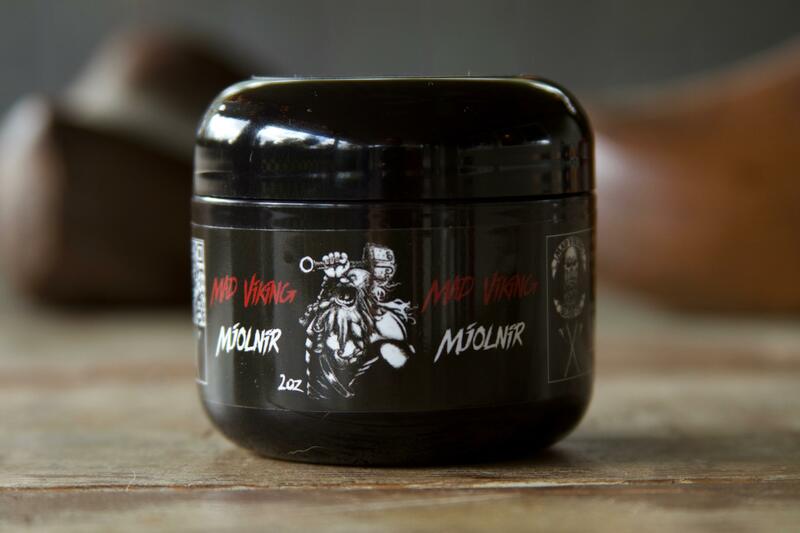 Or, to make it sound much more manly and appropriate, I am a “Mad Viking Mjolnir Beard Balm Guy”! I don’t know how you’re supposed to use beard oil, but here is how I use it. I use it when I don’t feel like using a base like wax, butter, or now balm. It’s quick. It’s easy. And, it provides a few hours of beard shine. Beard oil is thin though. It generally feels like you’re spreading a greasier form of water around your beard, and once it dries, it only vaguely resembles the desired outcome. To be honest, after using the amazing Mjolnir Bead Balm, the beard oil would’ve been an over indulgence. My beard was shiny and soft enough, and I didn’t want to walk around like some Arabian Prince with a glistening beard prompting onlookers to gaze in wonder and sunglasses. So, I waited for one of those moments where I didn’t have time to use beard balm or just wanted a quick touch up. 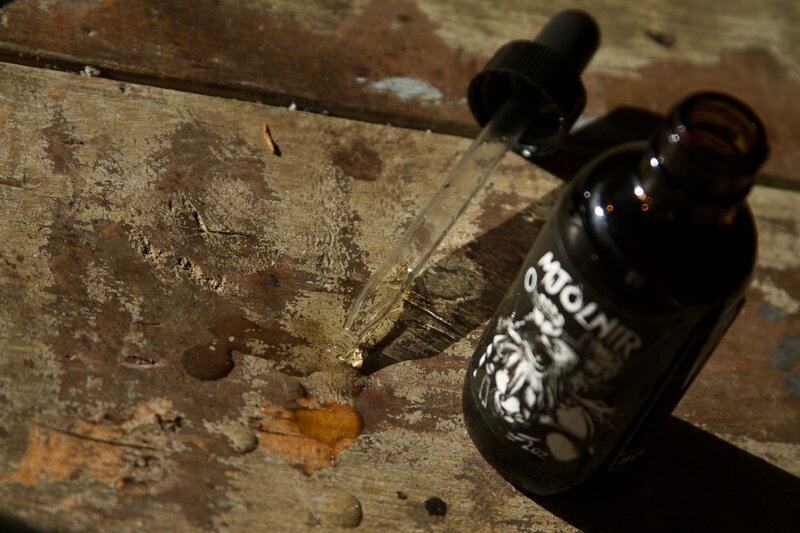 The Mjolnir Beard Oil comes with the standard “dropper” style application. The first thing I was impressed with was the fact that the dropper is long enough to reach the bottom of the bottle. 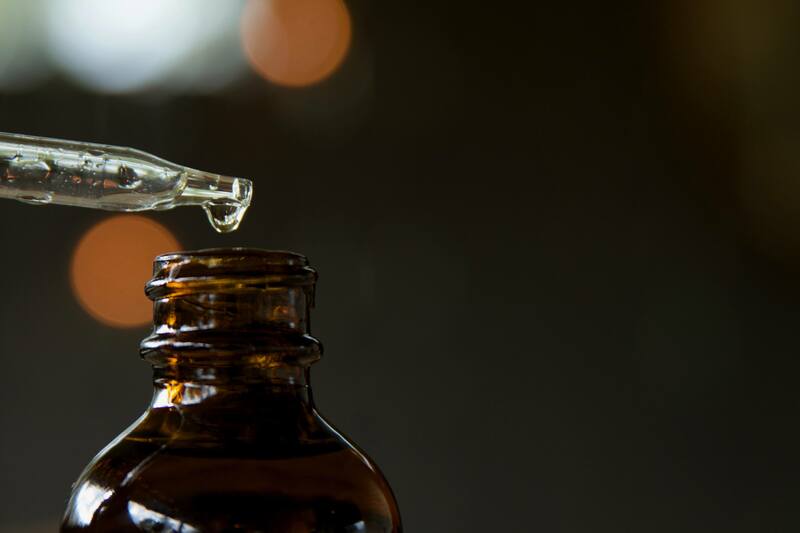 Seriously, I have other beard oils that once the oil reaches a certain point, the dropper is useless and you have to tip the bottle into your hand. 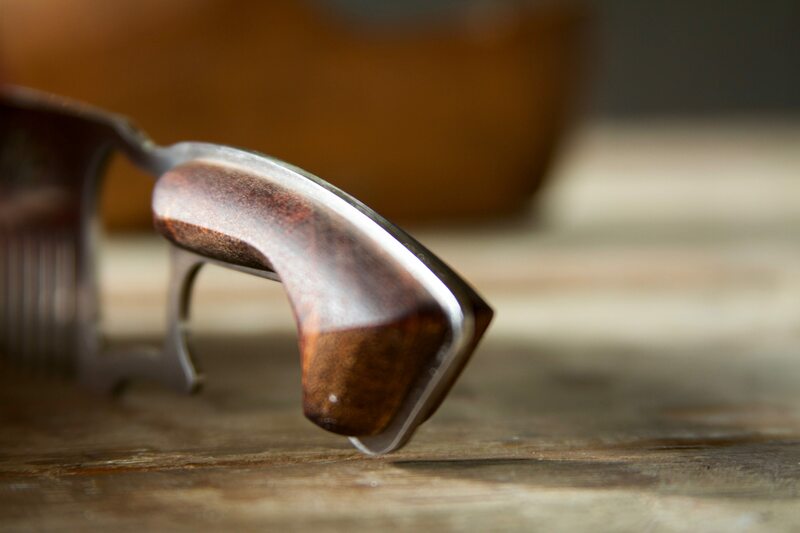 It’s annoying, so I was happy Mad Viking Beard Co. took the time to design a fully functional dropper. The Mjolnir Beard Oil is nice. It’s beard oil. Nothing spectacular and it get’s the job done. Maybe it’s a little thicker than normal oils and maybe it lasts longer. But, in the end, it’s beard oil and it can only do so much. 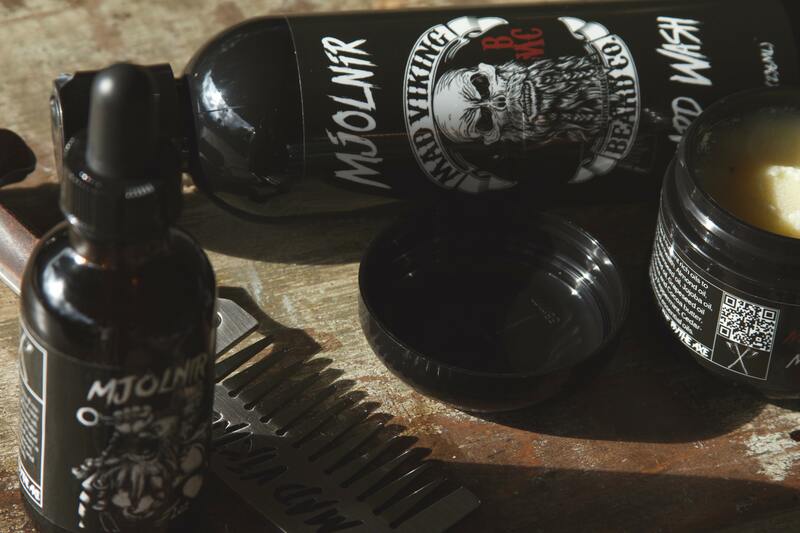 And unfortunately (or fortunately), Mad Viking developed such an amazing Beard Balm, it’s almost make's the oil obsolete. As I said earlier, I have a coarse and gnarly beard, so a good beard comb is always a must for me. 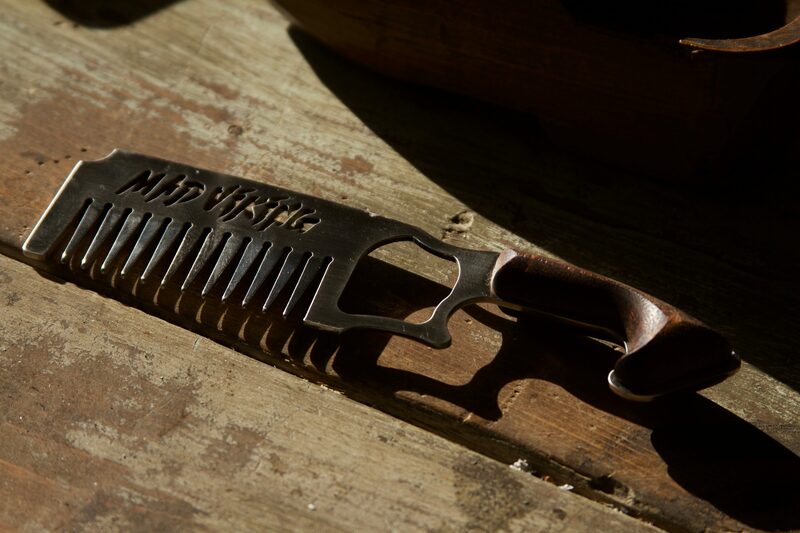 The problem is, beard combs are like sunglasses and lighters, they aways seem to disappear. Seriously, I can’t keep a pair of sunglasses to save my life! Currently, I use whatever comb my wife has in her hair arsenal. 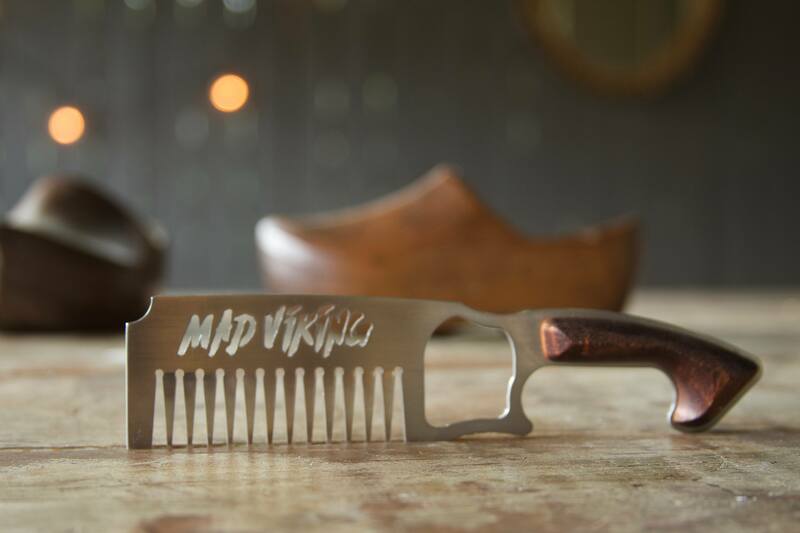 Now though, I have the heavy metal, real wood handled, Mad Viking Beard Comb and I like it. They have three versions, a fine tooth, medium tooth, and wider tooth. I have the medium toothed comb. I like the weight. If you haven’t caught on from my previous description, it’s metal. Therefore, it’s heavy and has a nice feel in the hand. It’s like i’m combing my beard with a nice hunting knife. My only gripe, if I have to have one, is the fact that it pulls on my hair at times. This I attribute to the curly, coarse, pubic like texture of my beard. So, maybe next time, I will get the wider toothed comb and that should provide the solution to my minor issue. The Mad Viking Beard Co. products are awesome! They truly and objectively are. 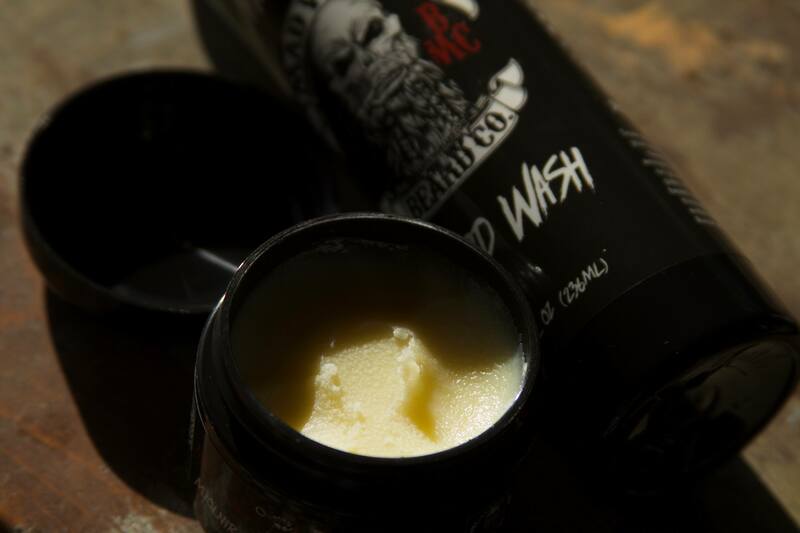 I genuinely believe I will be hard-pressed to find a better beard wash and beard balm. These two products alone have converted me into a true Mad Viking. As for you, I can’t imagine your experience will be any less-impressive than mine. Yet, it is up to you. Mjolnir calls. Do you have what it takes to wield the mystical hammer (or the beard products really)? 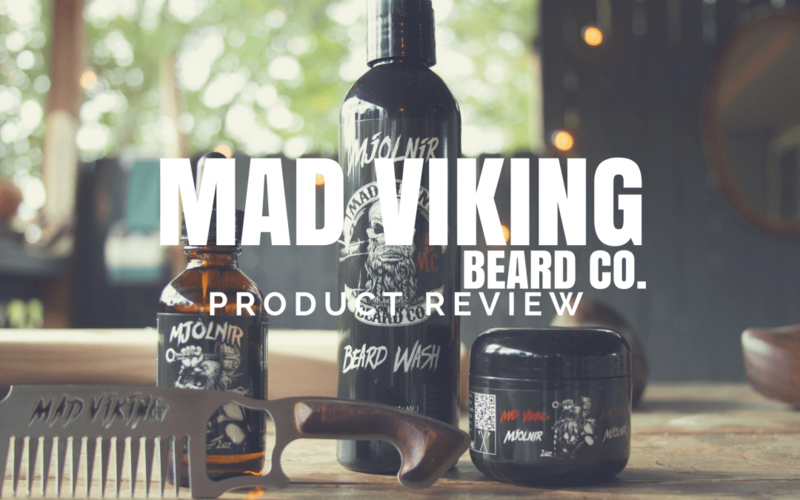 Click HERE to check out all Mad Viking Beard Co. products!